In the competitive environment any company tries to optimize its working process, reduce to the maximum the expenses in the process of task performance, employ effectively all human resources, and exclude the loss and distortion of important information which is essential for excellent performance and good final results. We would like to pay your attention to task management software which can be your assistant in managing business processes. At present, you can’t do without such software since task management software allows making the execution of the assigned tasks more efficient, irrespective of the number and physical location of your employees. Every participant of the project can see the list of tasks assigned to them, as well as the level of compliance and the task importance in real time relative to other tasks. 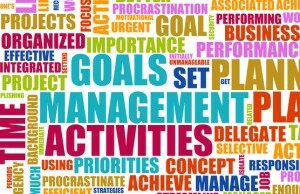 Task management is a convenient solution on organizing mutual work on tasks and project management. All the tasks and undertaken steps for solving the task are situated in one place. The project manager, or other interested person, can see the actual state of the project at any time and, if necessary, he can set or change priorities and appoint a person in charge. The project manager sets a task, delegate duties; appoints people in charge, distributes priorities, states the beginning and the deadline of the project. All the participants of the working process interact in one information field: tasks, assignments, documents, and steps. The database is located in one place, convenient for searching. The software lets add necessary files, notes, instructions, remarks, and comments to the task. The software gives a possibility to set priorities and track the execution of tasks. The project manage will have an access to real time reports and establish dependencies between tasks. The software can be customized so that the reminder about the deadline or completion of some stage of the project is sent automatically and personally to the interested parts. Every participant of the project can introduce comments and changes in the course of performing the project and can track who and when made the changes. The software allows following the labor costs on each employee and track the efficiency of their work. The participants of the working process can send instant messages to each other while working on the project. The software allows sending the information on completing the next stage of the project by e-mail. Task management software lets storing the information and history on all projects: participants involved, time needed for the project realization, the number of projects in process at present, the level of readiness, overdue tasks, complexities and difficulties emerged during the project performance, undertaken measures to overcome such problems, reports on the projects performed, history of interactions with clients, labour costs on projects and employees, etc. The company which has introduced task management software acquires considerable saving of time and can expect the best possible result due to the optimization of the employees’ interaction. The project manager gets a great tool that allows managing business processes, tracking the execution of each task at any stages including every employee involved in the working process, and reacting immediately and correctly to the execution of the work. Everything can be done irrespective of the employees’ location. The system allows working on the project even if the employees work in different branches, are on a business trip or work remotely. That creates an additional convenience since not always there is a possibility to gather all the participants of the project in one place. Task management software can be used in design companies, architectural and advertizing workshops, publishing houses, software development companies and other spheres of our life where mutual work of different specialists on one project is assumed to take place. If you still don’t have it, think about employing some task management and task tracking software solutions for your company. This blog post was written by Steward Copper who is the owner of Project Management Insights. While working as a project coordinator and BA, I have tried almost all possible PM tools, BA instruments, collaboration programs, including tracker and task management software solutions. I also write for different blogs sharing my knowledge and observations. Nice article! I think it would be great idea to mention some great task management software such as Basecamp, Zoho, Comindware, etc. Good one Steve. I too was totally manual in terms of my projects but the day I got an access to task management software, I feel like my works getting done up as simply as has neither happened and more than that I saw an extreme increase in the productivity. Currently I have been using task management tools from Replicon – replicon.com/olp/task-management-software.aspx . Its been very useful in terms of my personal life as well. Thanks for your commend Phick, I’ll be sure to check them out! Task management software is like having an assistant that doesn’t mess up or spill there coffee on your files. I think it would be a time saver and very beneficial especially to a small business owner. The scope from very basic – through to huge systems is available! Hi Kylie, thanks for your comment – can you tell me why you would recommend Team Task Manager over, say for example the software mentioned in the article, or indeed in the comment above yours?